Not many weddings inspire us to run away in search of thrilling escapades but Megan and Ryan’s elopement had us wanting a little escape from the more traditional of affairs. Masterfully captured by Blue Window Creative, this intimate elopement simply exudes fun and excitement. Not to mention, the photography is just downright perfect for the occasion and the setting! The Goals: We decided on an elopement for a number of reasons. The first being the fact that it is unconventional and we’re all for that. The second is that we’re originally from southern Missouri and trying to navigate where we should actually have our ceremony to make it work for our families proved to be overwhelming. After a few near nervous breakdowns we took a step back at the whole idea of a wedding and stripped away what was causing the anxiety. What really mattered to us was being together in an intimate setting with a killer view and some fantastic photographs to look back on…..and if you ask Ryan, a suit that fit like a glove. The Planning: Ryan is the researcher and planner of this pair. He found the wonderful mid-century house we stayed at in Palm Springs, booked our tickets, found our photographers, Mary and the Joel of Blue Window Creative, and planned most of the wedding reception. 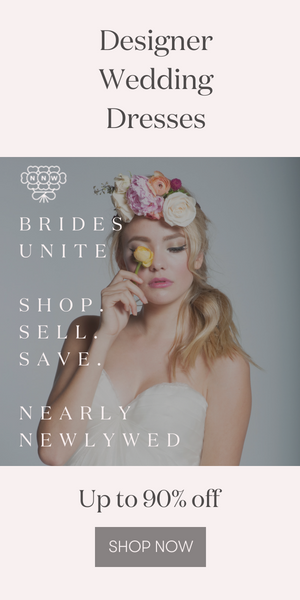 My tasks included finding a dress that I ended up ordering offline, sourcing a florist for the two bouquets and two boutonnieres used on the day of the wedding and hiring a hair and makeup stylist. Ryan really knocked it out of the park. Eloping is not a small task, but it does allow you the freedom to do you on your wedding day and to us, that’s what mattered most. Overall, we nailed down the important parts and left a lot of the other details up to chance and how the day flowed. For example, we scouted the exact location of our ceremony that morning on a couple of scooters. The Design: We wanted an intimate ceremony in a beautiful setting, amazing photos, and a day that allowed us to be spontaneous. For the design details, we wanted to keep it organic and light. I knew from the start that I wanted to get married in the desert after Ryan proposed in Sedona, Arizona. Our hearts are in the desert and we figured that Palm Springs would be a great fit. Desert, check. Mid-century architecture and design history, check. Stellar views, check. My dress was vintage inspired and the bouquet was filled with texture. Ryan had a tailored suit made reminiscent of the mid-century era and the home we stayed in was an updated 1964 classic. To top things off, our dear friends Will and Kristen joined us in Palm Springs and Will became ordained to perform our ceremony. Kristen was our best man/maid of honor/usher/ring bearer, you name it. The Moments: Where to start? Kristen and I kicked the day off with massages at the Ace Hotel and followed it up with hair and makeup. Ryan, Will, and the Joel rented scooters and scouted out the perfect place for the big show. Mary chronicled the outing from the car. They hit up GayMart for “something small and loud” per Ryan’s request. The day continued with cannonballs at the backyard pool, eating crazy big sandwiches, me writing my vows a hundred times and then piling into a Jeep to make our way to the vacant lot just before sundown (which is a tricky feat in Palm Springs due to the mountains). A few more favorite moments: the view, Ryan getting nervous and forgetting his vows, the laughs, the tears, he champagne toast, the impromptu scooter rides that followed. It was more than perfect. We also ended up at a casino and topped the night off with signing our wedding license after hanging in the hot tub. The Advice: Elopement might not be for everyone but it was exactly the right decision for us. The most important thing to remember is to do what makes you happy. Weddings shouldn’t be too overwhelming. Enjoy your special day and relish in the fact that you’re getting ready to embark on the most amazing journey of your life. Oh, and book a good live band or DJ for your reception. This is important. Thank you Megan and Ryan for sharing your awesome elopement with us! Looking for another excuse to run away together? Check out this picturesque Tuscany elopement with photography by Roberto Panciatici! Looks very romantic! Beautiful happy couple! This is seriously beautiful. Congrats to the couple (and the photographer) on a wonderful looking day! just picking my jaw up…so incredibly lovely! Love all photos so much. Those photography looks darkness need increasing light .